In this article we’ll introduce you to the MetaTrader 4/5 platform, developed for online trading in the Forex market. It provides tools for technical analysis, as well as placing and managing trades. We’ll explain the platform’s interface and teach you how to manage a trade. 1. Once you open the application, you’ll see a login form, which you need to complete using your login and password. Choose the Real server to log into your real account, and the Demo server for your demo account. 2. Please note that every time you open a new account, we’ll send you an email containing that account’s login (account number) and password. 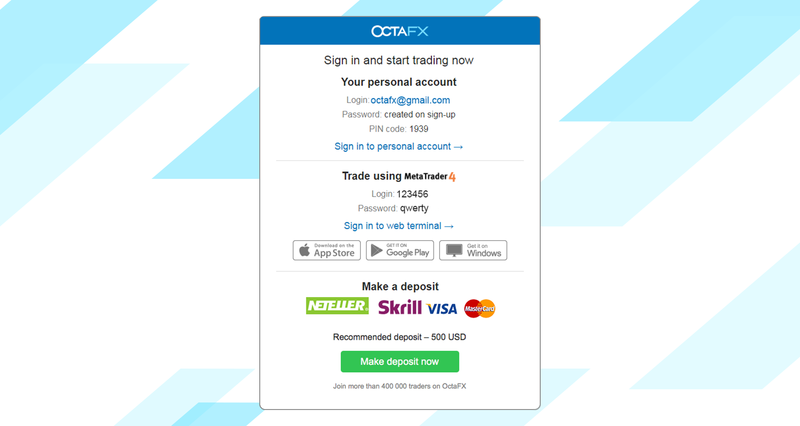 After logging in you’ll be redirected to the MetaTrader platform. You’ll see a big chart representing a particular currency pair. 3. At the top of the screen you’ll find a menu and a toolbar. Use the toolbar to make an order, change time frames and access indicators. 4. Market Watch can be found on the left side, which lists different currency pairs with their bid and ask prices. 5. The ask price is used to buy a currency and the bid is for selling. Below it you’ll see the Navigator, where you can manage your accounts, and add indicators, expert advisors and scripts. 6. At the bottom of the screen can be found the Terminal, which has several tabs to help you keep track of the most recent activities, including Trade, Account History, Alerts, Mailbox, Experts, Journal and so on. For instance, you can see your opened orders in the Trade tab, including the symbol, trade entry price, stop loss levels, take profit levels, closing price and profit or loss. The Account History tab collects data from activities that have happened, including closed orders. 7. The chart window indicates the current state of the market and the ask and bid lines. To open an order you need to press the New Order button in the Toolbar, or right-click the pair in Market Watch, and select New Order. Symbol, automatically set to the trading asset presented on the chart. To choose another asset you need to select one from the drop-down list. Learn more about Forex trading sessions. Volume, which represents the lot size. 1.0 is equal to 1 lot, or 100,000 units. Profit Calculator from OctaFX. You can set Stop Loss and Take Profit at once, or modify the trade later. The type of order can be either Market Execution (a market order) or Pending Order where the trader can specify the desired entry price. To open a trade you need to click on either the Sell by Market or Buy by Market buttons. Buy orders open by the ask price (red line) and close by the bid price (blue line). Traders buy for less and want to sell for more. Sell orders open by the bid price and close by the ask price. You sell for more and want to buy for less. The opened order can be viewed in the Terminal window by clicking on the Trade tab. To close the order you need to right-click the order and select Close Order. You can view your closed orders under the Account History tab. This way you can open a trade on MetaTrader 4. Once you know the purpose of each button, it’ll be easy for you to trade on the platform. MetaTrader 4 offers you many tools for technical analysis that help you trade like an expert onthe Forex market. We’ll cover all of them in forthcoming articles and video tutorials. Stay tuned!